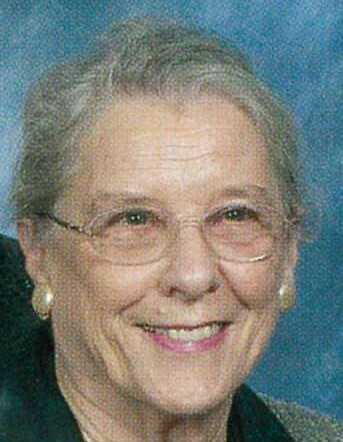 Eleanor Bowden Scarborough, 91, of Gadsden, Alabama, formerly of High Point, passed away Sunday, January 27, 2019, at the home of her daughter. Born August 18, 1927, in Pass Christian, Mississippi, she was the daughter of the late Joseph Hillhouse Bowden and the late Rosena Dunbar Wharton. Eleanor grew up in Gulfport, Mississippi and after graduating from Mississippi State College for Women, she married her high school sweetheart Frank Scarborough. She was a woman of faith who loved her family and her church. She had a very full life as the loving mother of five children. Eleanor was always available to help with children’s activities at church and school and was a great “sports” mom. Later in her life, she taught a young women’s Sunday School Class which was a great joy to her. In her last years, she enjoyed her Sunday School Class at Green Street Baptist Church where she shared their fellowship and love. She is survived by her sons, Frank Curtis Scarborough, Jr. and wife Sloan of High Point, and Peter Joseph Scarborough and wife Julie of Chattanooga, Tennessee; daughters, Melissa Scarborough Jones and husband Barry of Springville, Alabama, and Frances Scarborough Vann and husband Rick of Gadsden, Alabama; brother, Joseph H. Bowden, Jr. and wife Bewey; brother-in-law, Milton Scarborough and wife Victoria; grandchildren, Laura Franks and husband Steven, Luke Franks, Leah King and husband Brandon, Elizabeth Slone and husband Bo, Emily Buckner and husband Heath, Spencer Jones and wife Stephanie, Andy Vann and wife Allison, Lindy Vann and husband Justin, Daniel Vann and wife Johanna, Conner Scarborough, Macy Critcher and husband Ethan, Cole Scarborough, Pryce Jackson and husband Jeremy, Madelyn Scarborough, Pierson Scarborough, Maggie Richardson, Olivia Richardson, Matthew Richardson, and Sarah Cate Richardson; great-grandchildren, Isom Slone, Isla Slone, Levi Buckner, Eleanor Buckner, Dorothy Buckner, Jett Jones, Davis Sexton, Evie Sexton, Mary Sexton, Caroline Sexton, Audrey Powell, Abram Powell, Hartley King, Hadley King, Audrey Vann, Andrew Vann, and Alana Vann. In addition to her parents, and husband, she was preceded in death by her daughter, Linda Scarborough Franks. Services will be conducted at 11:00 AM Saturday, February 2, 2019, at Green Street Baptist Church with Rev. Frank Hensley officiating. Burial will be private at Floral Garden Park. The family would like to extend our gratefulness to Kindred Hospice and Home Instead. We especially want to thank Dr. Layla Wrenn, Denise, Kim, Kasey, Joy, Laura, Shelia, Penny, John, Patsy, Lori, and Cathy who provided medical expertise, nursing care, guidance, spiritual support, and loving care. Memorial contributions may be made to Green Street Baptist Church Building Fund, 303 Rotary Dr., High Point, NC 27262, First Baptist Church, Gadsden, Alabama, or Kindred Hospice, 3225 Rainbow Drive, Suite 256, Rainbow City, Alabama 35906.